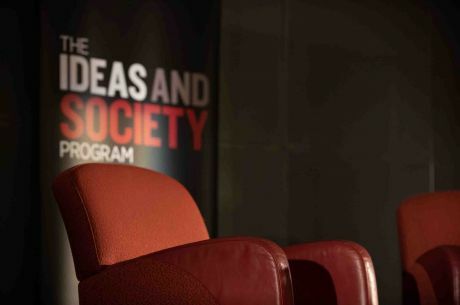 The Ideas and Society Program, convened by Professor Robert Manne, is a forum for discussion about the future of Australia and beyond. Last year we asked: Are there ways to build a better Australia? Guests included Kevin Rudd, Gillian Triggs, Tim Flannery, Noel Pearson, Megan Davis, Jane Caro, Tim Costello and many more distinguished Australian thinkers. We believe that Australia is in danger of following the example of the United States where the camps of 'progressive' and 'conservative' intellectuals speak only to those with whom they already agree. For this reason in 2019 we are hosting The La Trobe Debates, a series of discussions between those with genuinely different points of view about some of the most significant and polarising issues Australians now face. March 6: Does China Pose a Threat to Australia? What Should our Policy Be? One of the most critical and difficult questions now facing Australia is its policy towards China at a time when China’s economic and military power is growing steadily and when the international policy of the United States is nearly impossible to predict. The future of our China policy will be discussed by the thinkers responsible for two of the most important Australian interventions in this debate – Professor Hugh White, author of the seminal China Choice and the Quarterly Essay 'Without America', and Professor Clive Hamilton, author of the best-selling and controversial Silent Invasion.The debate will be moderated by La Trobe University’s international relations scholar, Dr Bec Strating. April 9: Has racism in contemporary Australia entered the political mainstream? Has Australia fully transcended the racist shadows cast over its history – the dispossession of its indigenous people and its once whites-only immigration policy? Professor Tim Soutphommasane, the former Race Discrimination Officer at the Australian Human Rights Commission and author of Reclaiming Patriotism, Tom Switzer, formerly the opinion editor at The Australian and presently the Executive Director of the Centre for Independent Studies, Tasneem Chopra, a cross cultural consultant on issues of cultural competence, gender, leadership and intersectional discrimination, and Associate Professor Chelsea Bond a distinguished academic who has worked in Indigenous health promotion, culture, identity and community development, are all close observers of Australian political culture have very different answers to this question. La Trobe University’s Dr Bec Strating, will chair this discussion. June 11: What Kind of Feminism Do We Need? What Has Still to Be Achieved? The feminist movement has fundamentally re-fashioned our world. There are however several different kinds of feminism and different answers to the question of what still must be done to deepen and complete the feminist revolution. Two of the most brilliant younger Australian feminists, Dr Clementine Ford, author of Fight Like a Girl and Boys Will Be Boys, and Dr Petra Bueskens, author of Modern Mothers and Women’s Dual Identities, will discuss these questions in a debate to be moderated by La Trobe University’s Dr Clare Wright, author of the Stella Prize-winning The Forgotten Rebels of Eureka. August 13: Does Australia Need a Human Rights Charter? In part as a consequence of her experience as President of the Australian Human Rights Commission, Professor Gillian Triggs, the renowned international lawyer and author most recently of Speaking Up, is a passionate advocate for an Australian Human Rights Charter. Professor Greg Craven, the Vice-Chancellor and President of the Australian Catholic University, disagrees equally passionately. Their debate will be moderated by Dr Tasneem Chopra, a sought-after Cross-Cultural Consultant and a distinguished La Trobe University alumnus. More events are to be confirmed. Download your Ideas & Society Program [PDF 126KB] to keep up to date with our events.